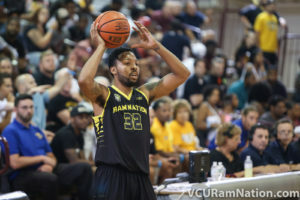 After making a run to the final 16 in The Basketball Tournament, team Ram Nation had a great first year by all accounts. In this podcast, we welcome our first guests, as we sit down with Brandon “The Mayor” Rozzell and his father, Michael Rozzell. Learn what their most memorable moments were from the trips to Charlotte and Philadelphia and what exactly it meant to hear the VCU chants one more time. See what we have learned from our first experience in The Basketball Tournament and who we look forward to having on the roster next summer.